Successfully navigating life in a new country, with unfamiliar educational systems and civic structures, often requires a concerted family effort. We supplement our Education programming with family engagement and support activities. Our goal is to decrease social isolation, and connect students to community resources. We hold quarterly community events that welcome 100-200 newcomer students and their family members. Our events feature staff- and partner-directed activities: communal cooking of meals from our students’ cultures, arts and crafts, soccer, and book giveaways. We also hold workshops on a wide range of topics, including health and wellness, positive parenting, healthy nutrition, the U.S. citizenship application process, knowing your rights, and managing your finances. In addition, we offer regular field trips to our students, that build community and allow students to learn more about their new home. In the past, we have offered trips to the Academy of Sciences, Disney on Ice, the Exploratorium, SF Giants' Games, and a variety of local museums. Field trips are regularly offered to home-based volunteers and their students, along with our after-school and adult class students. 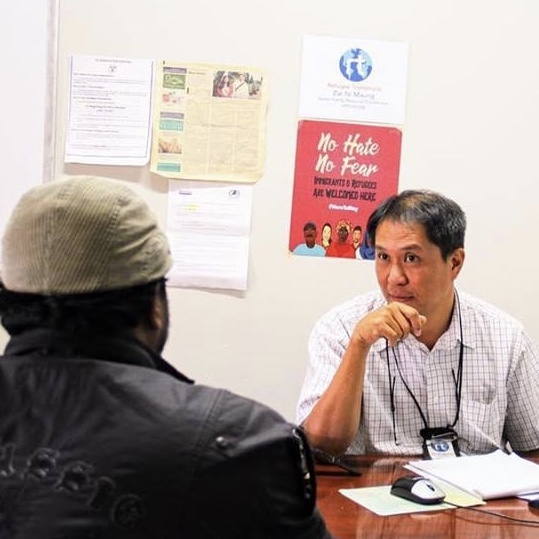 Our bilingual and bicultural social adjustment case managers connect families to community resources and help them navigate unfamiliar U.S. systems. We work to remove barriers to accessing services and benefits (such as language barriers), and ensure students continue on a path to self-sufficiency. We continually communicate with our partners to ensure that our students have the family support options they need to thrive.